A brand name destined for world-wide success. Silverstone had laid its foundation well. Since its inception in 1988. Silverstone had pursued its quest to produce quality tyres of the highest export standards. Employing state-of-the-art technology and quality control systems comparable to the best in the world. Silverstone has earned itself awards from international governing authorities such as UK's E11, USA's DOT Marking of Quality, the ISO 9002 BVQI Certification of Quality Management and Malaysia's SIRIM. In every aspect of planning and operations. Silverstone's vision revolves around one aspiration - to be acclaimed as a world superior tyre manufacturer. 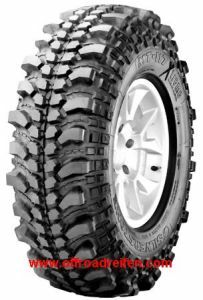 Complemented by advanced technology to enforce continuous research and development, as well as progressive quality control systems, Silverstone is indeed proud to be the first tyre manufacturer in Malaysia to produce and export Z-rated low profile tyres, tubeless all-steel radial truck tyres, and rally tyres. In 1998, Silverstone's 4x4 tyre, the MT117EX, was bestowed the "Best Product Quality Award" by Dato Seri Dr Mahathir bin Mohamad, the Honourable Prime Minister of Malaysia at the time. And in 1999, Silverstone's rally tyre range received the "Special Award For The Development Of A Malaysian Brand" at the MITI Industry Excellence Award. The ultimate testimony to the quality of Silverstone tyres is their proven performance in the total perspective of motorsports. Silverstone has excelled in 4x4 challenges, rallies, track events, formula races and hillclimb races. Quick to recognize the motorsports plattform as a rich source of invaluable research information, the Silverstone Research & Development Division channels its hands-on findings during motorsports into making innovative tyres of exceptional performance. New tread patterns that perform better under adverse conditions, rubber compounds of stronger resilience, and tyre re-engineering to withstand more strenuous usages are a continuous process at Silverstone. Silverstone MT117 Xtreme Motorsportreifen Der Reifen, der Zähne zeigt, hergestellt für alle Offroad-Xtremisten! Das Super- Leichtgewicht mit der extra leichten Karkassenstruktur, super geschmeidige Seitenwand und weicher Silica Laufflächenmischung garantiert hervorragende Walkeigenschaften. Sein sehr offenes Profildesign garantiert Ihnen optimale Traktion im tiefsten Schlamm sowie eine hervorragende Selbstreinigung. Dieser Reifen ist "POR" gekennzeichnet und darf nach der Europäischen-Reifen-Kennzeichnungs-Verordnung ohne Labeldaten im öffentlichen Straßenverkehr gefahren werden.